I’m not what you would call the classic football fan. I mean, I played football in high school, and I enjoy watching a game every once in a while, but that’s about the extent of my fandom. 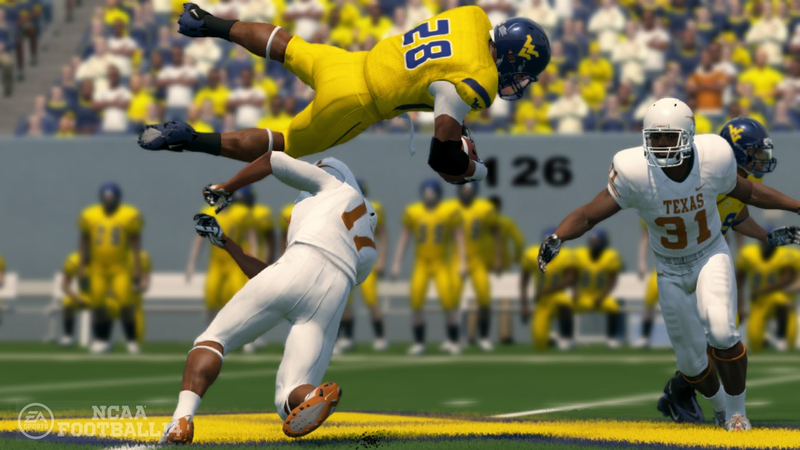 I have played college football games in the past, but I never play them consistently, because they don’t seem to change too much from year to year. 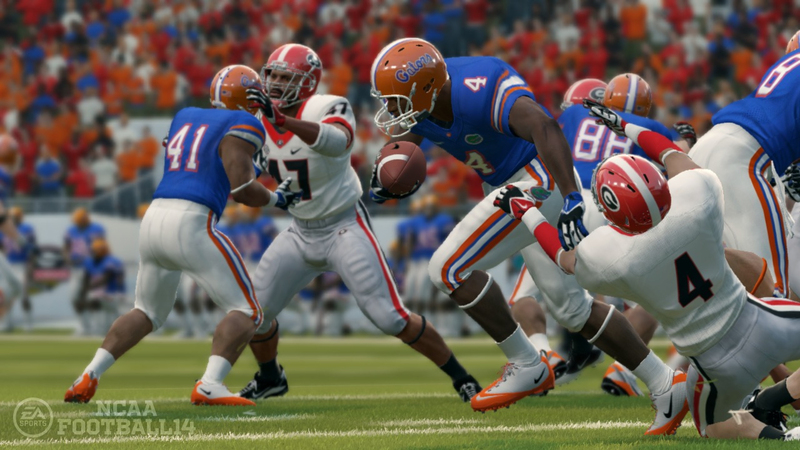 However, since I haven’t played a college football title in years, NCAA Football 14 was pretty much entirely new to me. The first thing I noticed about the title was the presentation. 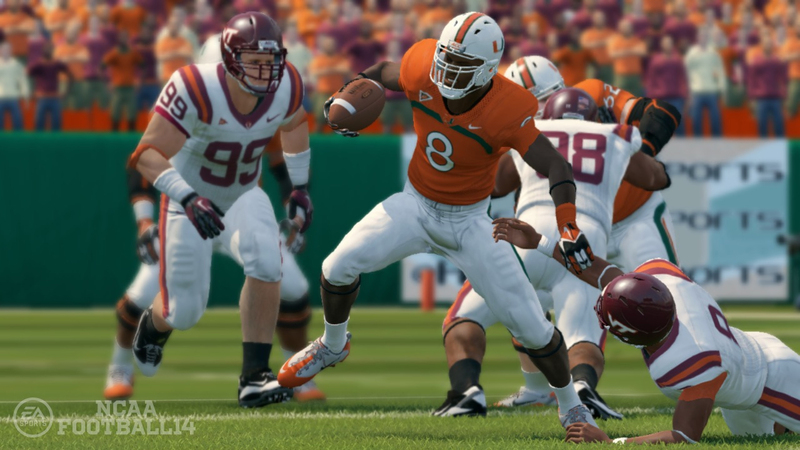 EA has been perfecting the delivery of these games for years, and it shows. After I created my profile, I dove into a quick game just to get a feel for the gameplay. It was ugly. I came to the stark realization that I was hopelessly untalented at even the simplest of plays, not because I didn’t know anything about football, but because I had no real concept of the controls past snapping the ball, throwing it, or handing it off. I needed some help, and thankfully, I found it–Nike Training Camp. 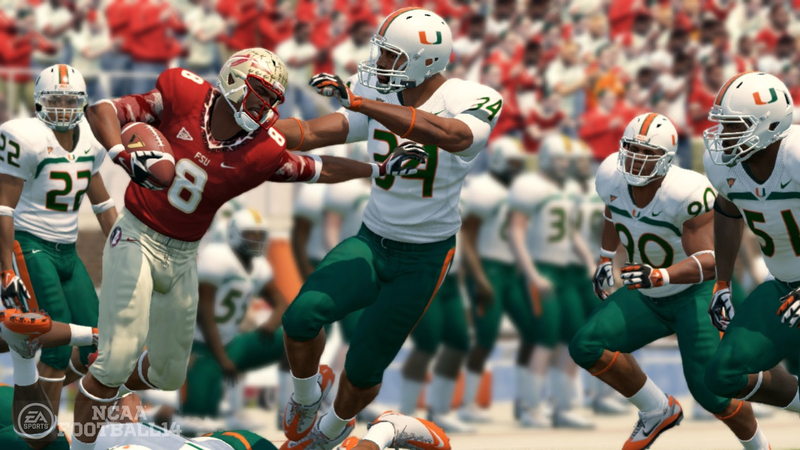 In the Training Camp mode, you run through drills and train a specific skill. Who knew? 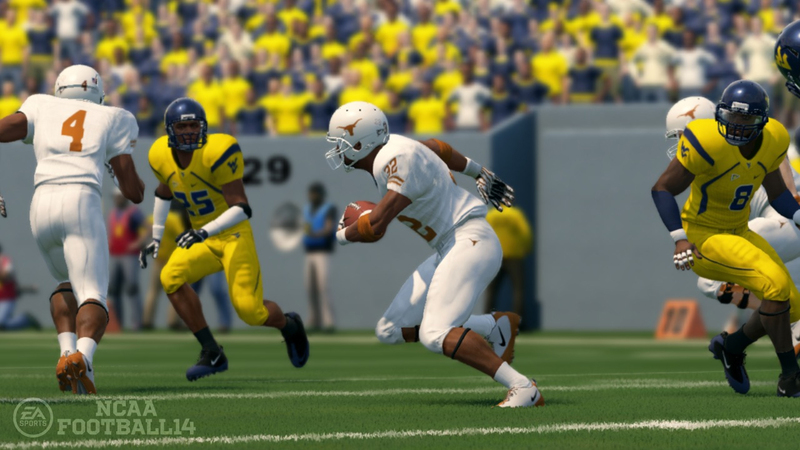 I started with my weakest point–offensive controls. The system employed by the training camp is simple--you are given a specific play type (e.g., hand-off to the running back for a 10-yard run) and must run several iterations of it successfully. Typically, you are given ten tries, and must complete five of those successfully to progress in training. During those ten attempts, the objectives of the specific play change slightly, so you have to pay attention to the instructions on the screen. After completing the requirements, you are given the chance to test your newly learned skills over the course of ten plays. The trick here is that you have to complete the plays with the skills you just learned, or they are not counted as successes. For all your hard work, you are rewarded with either a bronze, silver, or gold medal, as long as you meet the minimum requirements of success. I not only found the Nike Training Camp immensely helpful in learning a foreign control scheme (I think the last football game I played was Madden 07), but it was actually fun. It could have been intensely boring, but the reward system for success and the fast pace of the plays made it relatively fun to learn what would have been an otherwise daunting controller setup. So if you have never played a football game before, or if you have been away for a few years, do yourself a favor and take a trip to training camp before you start trying to steamroll your way through a season. With my newly honed skills, I returned to normal gameplay and enjoyed a much higher margin of success. Now, instead of feeling clunky and annoying, the control scheme felt dynamic and intuitive. Where I had previously ran the ball blindly and only thrown to intended receivers on plays, I now found myself picking option plays, looking for the pass rush and blitzes, and throwing specialized passes based on open receivers and holes in down field coverage. 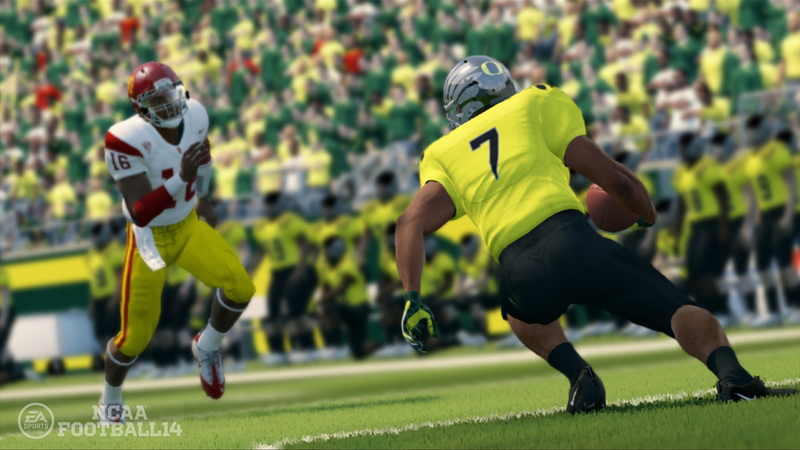 In short, I had learned to play the game as it had been intended to be played instead of oafishly fumbling through the motions of an interactive football experience. 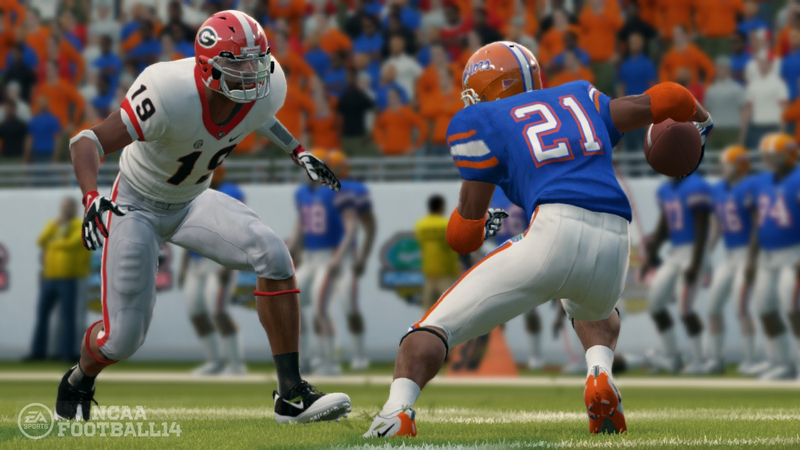 But NCAA Football 14 isn’t just about playing single games. This game has modes of play for players of every level. 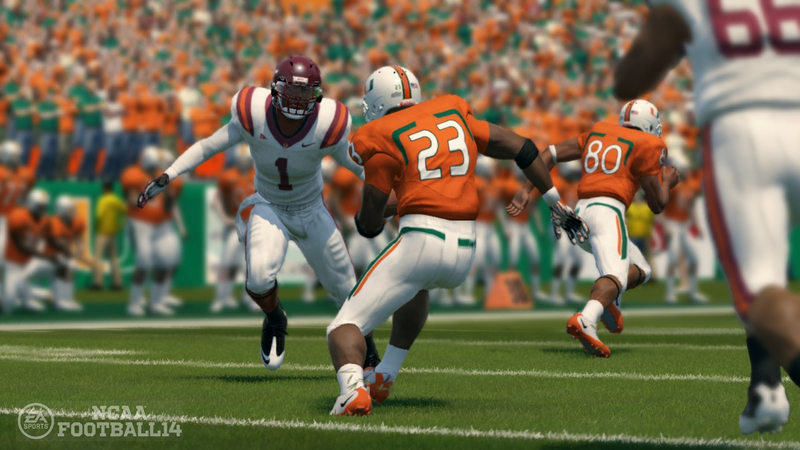 Season, Franchise, and Road To Glory modes all make an appearance, and fans of this style of gameplay will not be disappointed. There is plenty of content to experience here. 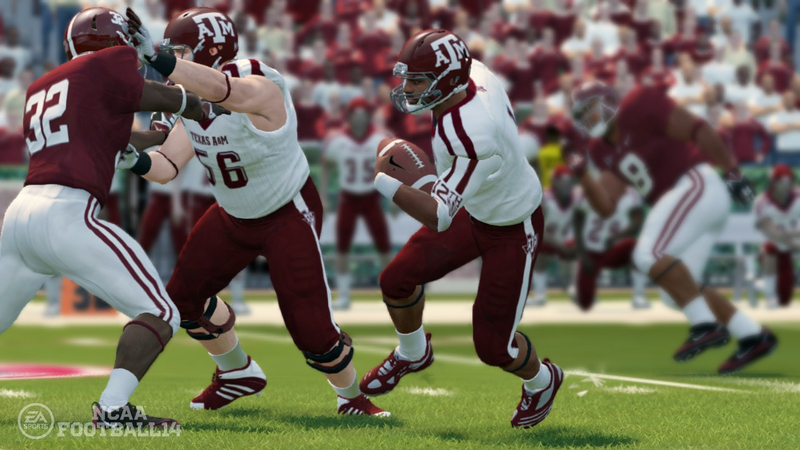 In addition, you will find that last year’s Heisman mode has returned. 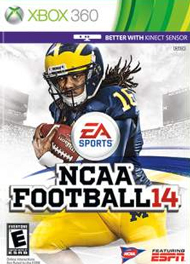 I found this to be what I played the most in NCAA 14. After choosing one of my favorite players of all time, Barry Sanders, I was given the task of completing the feats of his Heisman-winning 1988 season. 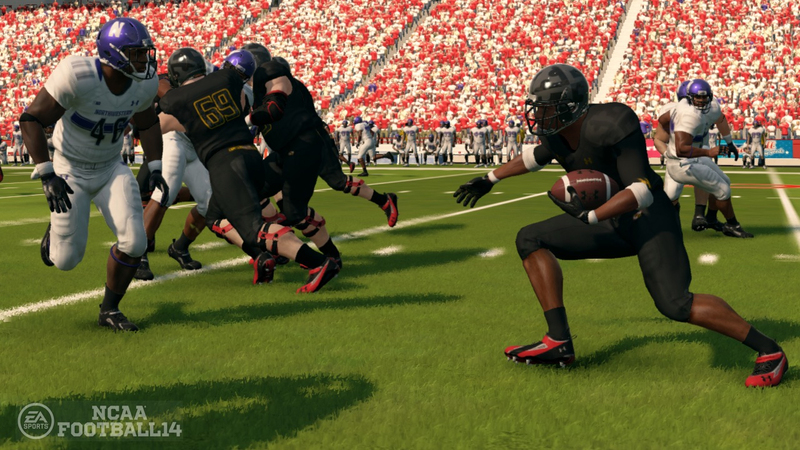 What I like most about Heisman Mode is that you only control that player. Even on plays that you don’t get to run the ball, you still run routes, block for your quarterback, or execute a fake run to draw the defense off of a quarterback scramble. When you aren’t involved in a play, you can either choose to watch the play or skip plays until your Heisman candidate is on the field. My only gripe with this mode is that for some odd reason you don’t follow the same game schedule as the Heisman hopeful did, and there are no classic uniforms. But despite this, I had more fun here than anywhere else in the game.